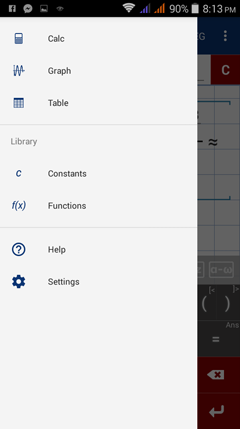 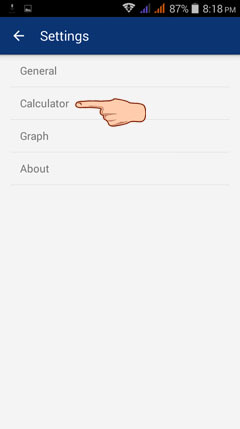 STEP 1: Tap the leftmost side of the calculator window screen to view the different options. 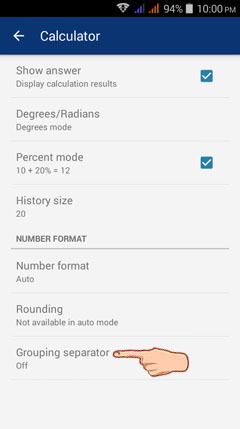 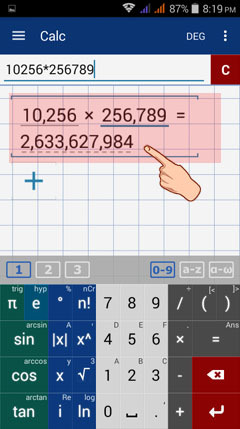 Alternatively, you can tap the menu button on the top-left corner of the calculator screen. 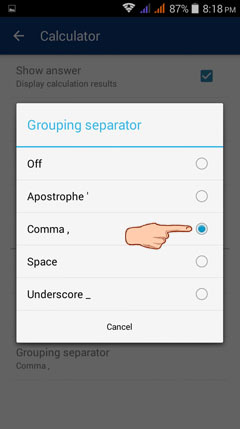 5) Tap on the grouping separator that you want to use (Apostrophe, Comma, Space, Underscore). 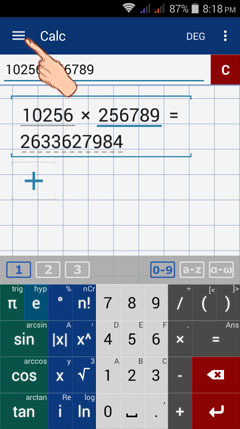 The result is now displayed with the chosen grouping separator between thousands. next: how to set precision?